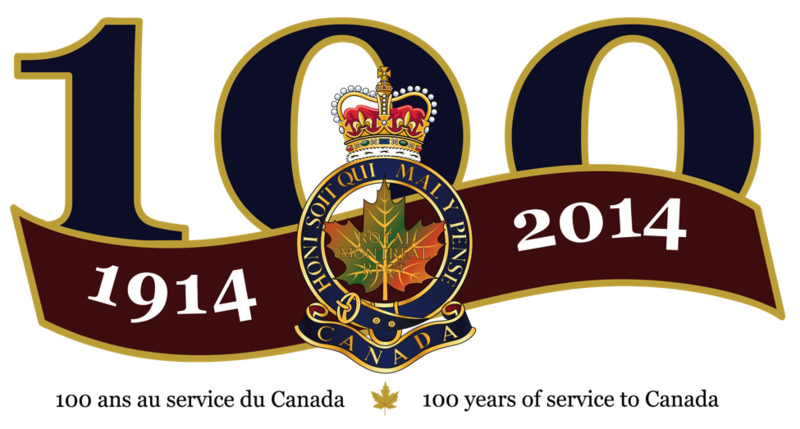 In 2014 The Royal Montreal Regiment (RMR) celebrates 100 years of successful military service to Canada. The RMR is an unpretentious unit that was formed for combat and the defense of our freedoms and to its credit has remained faithful to the principles learned in the crucible of the Great War: consistently focusing efforts on best preparing its members for duty. The Royal Montreal Regiment was born in 1914 to serve in the First World War by bringing together soldiers predominantly from three leading Montreal Militia units: two English and one French. 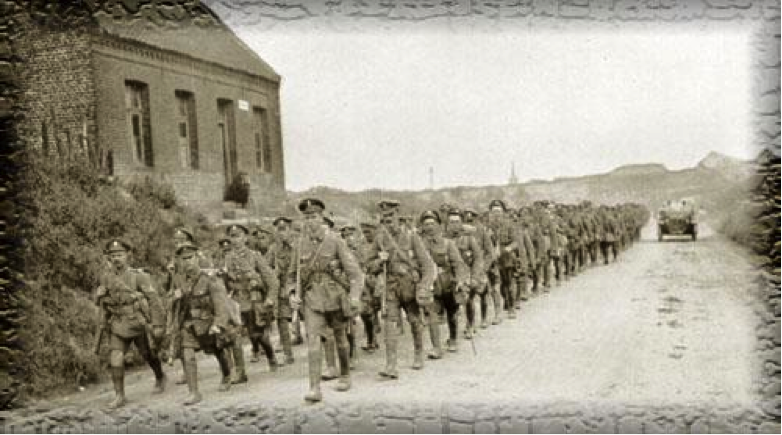 As unremarkable as it seems now, it was a radical idea in 1914 and one that proved exceptionally successful: The RMR won more than 20 battle honours between 1914-18, participating in every major engagement that the Canadians undertook, from standing firm during the first poison gas attacks in Ypres, to enduring the slaughters of the Somme and Passchendaele, to the tremendous victories of Vimy, Amiens, etc. From the beginning, by its union of French and English, the RMR helped to promote Canadian esprit de corps; the “two solitudes” united: fighting and dying side-by-side continuously for 42 months. Tremendous sacrifice was endured to earn the WWI victories: the RMR left 1,192 dead in the fields of France & Flanders by the time it crossed into Germany as the lead of the entire Canadian Corps, and proudly became the first regiment of the British Empire to ever be awarded its Colours on conquered soil (a feat it would repeat at the end of WW2). French and English Canadians fought shoulder to shoulder in the RMR, the only such unit of its kind at the time. The RMR was the first unit in the Canadian Forces, Regular or Reserve, to be deemed officially bilingual: today more than 20 mother tongues are spoken in the ranks of the Regiment. The RMR returned to Canada in 1919 and formed an association that oversaw the fundraising and building of a Regimental home on Ste-Catherine Street in Westmount – on a plot of Westmount civic land, leased for 99 years from a grateful citizenry at the rate of $1 per annum. It has based itself from this Armoury ever since 1926 for training and service, including an overseas battalion and a home-service battalion in WW2. The RMR was part of the first Canadian contingents for both World Wars (1914 – 18 and 1939-45). 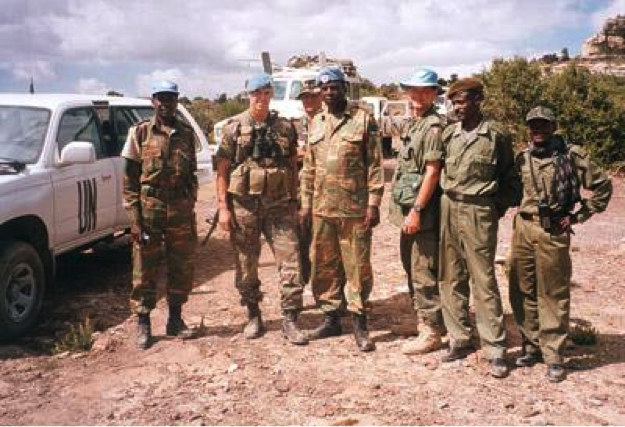 Close to 200 RMR soldiers have served with United Nations and/or NATO Forces since the end of WW2 on numerous peace support missions throughout the world (Korea, Cyprus, Middle East, Bosnia, Sudan, Congo, Eritrea, Egypt, Afghanistan, Haiti, etc.). At home, RMR soldiers served during the Cuban Missile Crisis, the October Crisis, the Oka Crisis, the 1976 Montreal Olympics, the 1998 Ice Storm, the Millennium Bug, the 2010 Vancouver Winter Olympics, and recently the floods in the Richelieu Valley. The RMR is not content to rest on its laurels; it continues to serve Canada’s interests at home and abroad. The centennial will be marked by numerous celebrations – watch this site for updates! Contact the Centennial organizing committee at 100@royalmontrealregiment.com. To commemorate the 100th anniversary of CFB Valcartier on 19 June 2014, the RMR Nijmegen Marching team joined soldiers from all over 2nd Canadian Division to march the 30Km from the base to the port of Quebec – the same path that was marched by soldiers 100 years ago to board the ships for the Great War. The march ended with a combined Navy-Army commemorative ceremony aboard the HMCS IROQUOIS. The Nijmegen March is a rigorous and prestigious event in which Canadians have participated since 1952. It was first established in 1909 by the Dutch monarchy as a means of promoting leadership, stamina, and teamwork within the Dutch Army. The March continued to grow over time, and today includes foreign militaries and up to 45,000 civilian participants. The event itself consists of marching 160 Km over four days – roughly 40 Km a day. Prior to the event the Marching teams will visit the Vimy memorial in France and the Groesbeek Canadian War Cemetery and Memorial in the Netherlands. The RMR has sent a 10-man team (with an attached medic) from 11 to 21 July 2014. The team is already well into their collective training phase and, before all is said and done, will have marched almost 1000 Km. 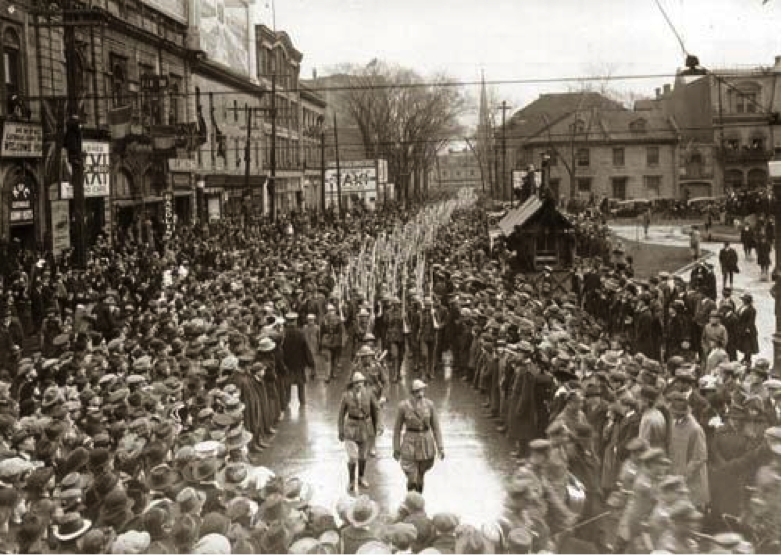 While the RMR’s official birthday is 02 November, in reality the first time that RMR troops formed up together on parade and referred to themselves as “The Royal Montreal Regiment” was in August 1914. To mark 100 years of successful service to Canada, the RMR Foundation is hosting a reunion in the form of a traditional “smoker” (an informal gathering) to be held at CFSA Montreal in Dorval on Saturday 23 August 2014. This reunion is open to the entire Regimental Family, kids under 12 get in for free – BBQ lunch is included in the admission. We are pleased to announce that Canada Post will be launching a Commemorative Envelope this year to help us celebrate our Centennial Anniversary. This will be an historic moment for the RMR, and it will also help advertise our Centennial far and wide. Even if you’re not fond of regular mail and prefer the convenience of electronic communications, you will want to pick up a copy of this envelope. Distribution is sure to be limited and, given the circumstances, very unique. We’ve all been through basic training, and we all work at the RMR. But how much do you actually know about your Regiment? Who was our first CO, and RSM? When did the name “The Royal Montreal Regiment” first appear? If we fought in the Great War, and our Armoury was built in 1925, what happened in the years between? Who, exactly, were “The Westmount Rifles”? And what does “Honi Soit Qui Mal Y Pense” mean, anyway? If you know the answers to these questions – without the help of Google – then you should apply for the position of Regimental Historian. But if some of these questions leave you scratching your head, let us suggest that you take part in the Regimental Indoctrination event, and learn something you didn’t know about the History and Traditions of the RMR. Our MMHL Hockey Team is used to winning, and doing so in style. But for the Centennial year, we felt something special was in order. Hence, it is with great pleasure that we will be outfitting the RMR MMHL Hockey Team with new Centennial jerseys. With a hundred years of excellence at (and on) their backs, first place is all but guaranteed. So be sure to make time in your schedule for Thursday nights and come out to cheer on the team as they play Canada’s game. The RMR’s Centennial ball was held in the Regiment’s Armoury on Saturday 1 November 2014 in order to officially launch our Centennial activities, celebrate 100 years of RMR achievements, commemorate our sacrifices, and to connect with our supporting communities. The Regiment’s official birthday is the 2nd appropriately when we raise our glasses at the stroke of midnight to celebrate the closing of one century of service and the dawning of another. We’re introducing a DEU Pin that will be worn by RMR members throughout the Centennial Year. Details of its design and wearing are still to come, but be advised – the DEU pin will not look good at all on CADPAT. If your CFs are still in the box (or if you don’t have them yet), do yourself a favour and make sure that, when our Centennial begins, you can proudly pound the pavement in style with the rest of us. This coin will be intended for general distribution, and will be available to anyone who wants to take part in our Centennial. We are certain that the coin will take on a value of its own given the historic circumstances of its issue. You will certainly want to get one (or more) as a souvenir. The Centennial Year will feature a large number of high-profile Parades. On our annual Remembrance Day celebrations, we will also be exercising our right to the Freedom of our affiliated Cities. From Montreal, Hampstead, Westmount, and Pointe-Claire, there will be a whirlwind of activity as we visit our communities to mark the Centennial of our Regiment and its place within them. Although the annual Soldier’s Christmas Dinner is not, strictly speaking, a Centennial event, this year it will feature a distinctly Centennial flavour. We will be unveiling a set of newly refurbished Regimental Trophies and presenting them to the deserving few. And since all of our serving members will be seated under one roof for the Christmas Dinner – a rare occasion in and of itself – we will also take the opportunity to distribute the Centennial Challenge Coin. Those who plan on missing this important day should beware… it might get a bit costly the next time you pay a visit to your Mess. As mentioned, the Centennial Year will see the RMR taking the lead in a number of important Parades. On the weekend of 15-16 May 2015, we will be out in force for the Change of Command Parade as we bid farewell to our current CO and RSM, and welcome the incoming Regimental Command Team. We will also be awarding the remainder of the newly refurbished Regimental Trophies. Equally momentous will be our annual pilgrimage to St. Mathias Church to pay our respects to our Colours, our forefathers, and our Fallen one hundred years after the founding of the RMR. In August 2014 a contingent of RMR soldiers were sent to be Ceremonial Guards for the Tomb of the Unknown Soldier in our nation’s Capitol. Located at the National War Memorial in Confederation Square, the Tomb of the Unknown Soldier holds the remains of an unidentified Canadian soldier who fell at the Battle of Vimy Ridge. Our participation in this time-honoured tradition will help us celebrate the history of our Regiment and commemorate our Fallen on the occasion of our Regiment’s Centennial Anniversary. With the passing of Mr. Nino Lambertucci this spring, whose faithful service will always be remembered, our Regimental Museum is now run single-handedly by the very dedicated and capable Mr. Ron Zemancik. 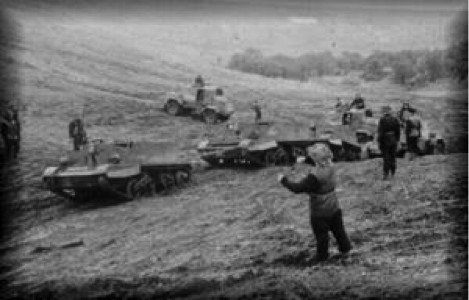 Over the years, he and his predecessors have been able to keep the RMR’s history alive by safeguarding unique memorabilia from days past, including everything from notebooks and cap badges to machine-guns and anti-tank weapons. To mark a Century of Regimental history, however, this remarkable collection will be expanded far beyond the room in which it is kept today. In the fall of 2015 we will proudly unveil the RMR’s new Regimental Museum, which will incorporate most of the Parade Square, the balcony, and adjoining areas. With this new design, the Museum will augment the original purpose of our Armoury, which was built as a Monument to the RMR’s Fallen. Our home will thus become a unique historical destination in the heart of Westmount, open for all to see. We look forward to welcoming neighbours, friends, and first- time visitors at this auspicious event. With the re-inauguration of the RMR Museum, we will be opening our doors to the public. But the Museum will only be one aspect of a larger Open House / Meet & Greet event lasting several days. From Montreal, Hampstead, Westmount, Pointe-Claire, and beyond, we look forward to hosting visitors from all of our affiliated cities and neighbouring communities as they re-acquaint themselves with their Regiment. Our Messes will be open throughout the event and we look forward to sharing our love for the RMR, our passion for military service, and the pride with which we pursue our unique calling. Whether you wish to attend our information sessions to learn more about the Regiment’s history and traditions, or whether you are just interested in seeing some of the unique military pieces from our Museum, we look forward to seeing you there.